New York, NY: A.S. Barnes & Co., 1850. First Edition . Hardcover. Good. Size=6.5"x9.5. 365 Text Figures. 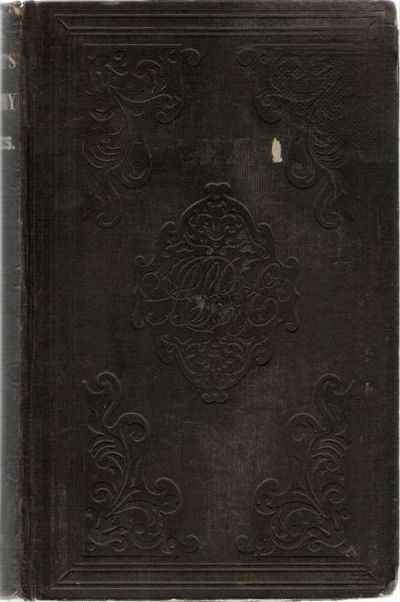 (full book description) A.S. Barnes & Co., New York, NY, 1850. 1st Edition Good+, Hard Cover, DJ Not Issued. Size=6.5"x9.5", 632pgs. 365 Text Figures. Black cloth with stamped cover & spine designs & gold spine lettering. Cloth worn at top & bottom edges, cover fore-edge corners shelfwear 1/8" x 1/4" scrape mark on front cover, Half Title Page lightly browned, o.w. clean, bright & tight. No ink names, bookplates, etc. 99% OF OUR BOOKS ARE SHIPPED IN CUSTOM BOXES, WE ALWAYS PACK WITH GREAT CARE!